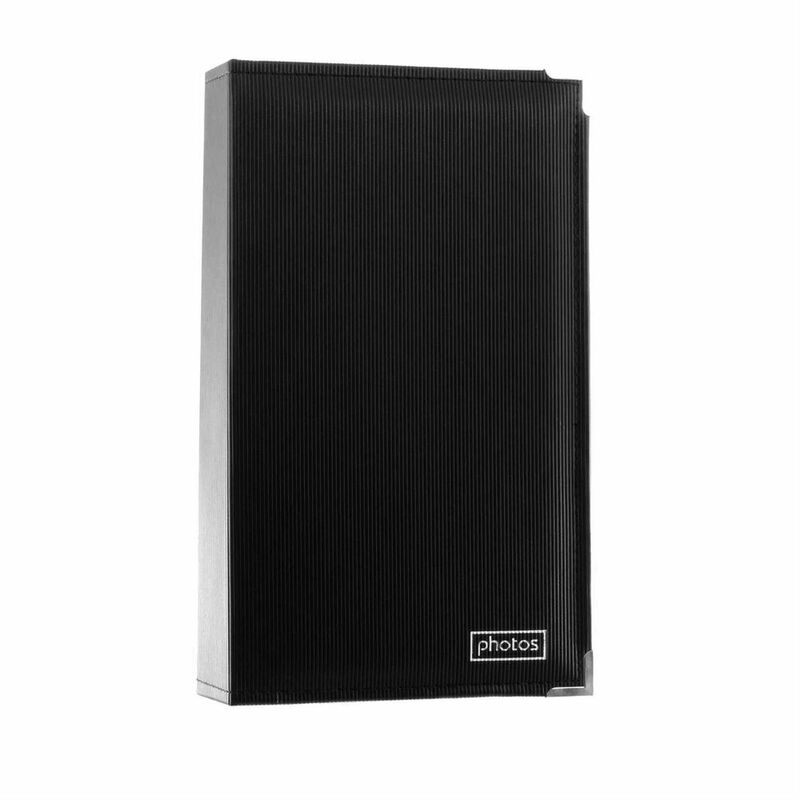 The Kenro Black 7x5 200 Photo Album, has an interesting ribbed finish and the word photo stencilled onto the front bottom right hand corner. The sliver effect, corner protectors on the front cover give it an expensive feel, but the album is priced in our budget range. The black pages, give a stunning background on which to display the photos and the cloth finish on the inside front and rear cover make the album comfortable to handle. 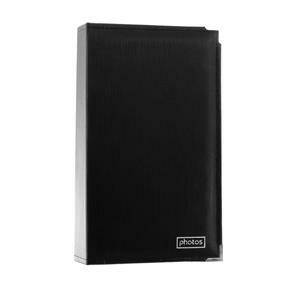 The Black 7x5 200 Photo Album measures approximately otos is very plain, it has a classic look and can be used for almost any event. The book-bound pages take upto 200 6x4 photographs, in landscape format one above the other. The album measures approximately 11 (H) by 8.5(W) inches and it is available in other sizes.